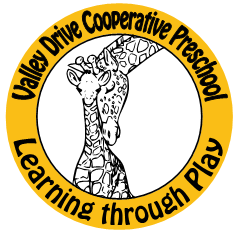 Immanuel Church-on-the-Hill is delighted to be the weekday home of the Valley Drive Cooperative Preschool (VDCP). We count current and former VDCP students among our parishioners. The school's director of 25 years, Cindy Hodgkins, is well-regarded in the local early childhood community. With a staff of six teachers and a like number of rotating parent volunteers, the school currently enrolls 43 children in three age groups: 2-3- and 4/5-year olds. The school hours are 9 a.m. to noon, Monday through Friday. The older students stay until 1 p.m. on Fridays. Parent volunteers clean the classrooms daily.